USACoinShows.com is the #1 resource for finding coin shows, coin dealers and coin clubs across the United States. Find complete and accurate information about upcoming coin show dates/schedules, show locations, venues, ticket pricing, promoter and exhibitor information and much more. Please scroll down the page to view coin show listings by event name, date and location. Over 55+ dealer tables, Free admission and parking. Free admission, free parking, youth giveaways, raffle. 28 dealer tables This will be our 5th annual show. USACoinShows.com is the #1 resource for finding coin shows, coin dealers and coin clubs across the United States. Find complete and accurate information about upcoming coin show dates/schedules, show locations, venues, ticket pricing, promoter and exhibitor information and much more. The purpose of this site is to provide an easy platform for people interested in numismatics to be able to find coin shows and coin clubs. Create an account and post your own coin show listings or coin club. Use this page to post your own coin show events. Like our Facebook page for daily articles and posts relating to coins. The internet is a great place to learn about coins, but the best way to learn is by meeting people in the community. Coin shows and events bring the top minds of the community together. Meet face-to-face to learn and give back. Also expand your coin collection while you’re at it. UsaCoinShows.com is the place for you to find these shows and events. Expect people all over the spectrum. 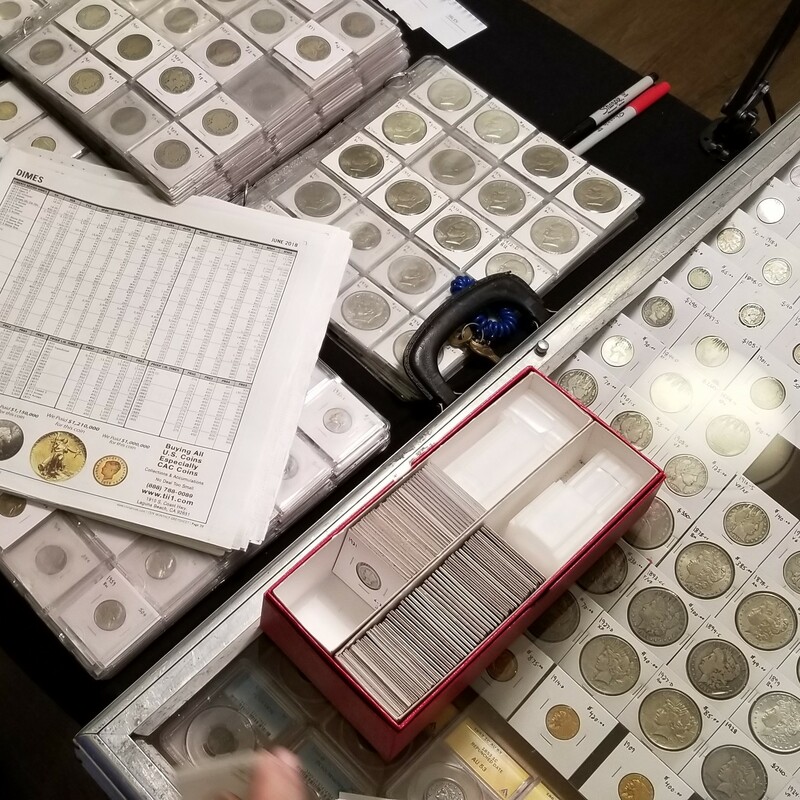 It can range from a brand new beginner, to a numismat who has been collecting their entire life. There will be buyers, sellers, collectors and enthusiasts. Expect friendly people and don’t be afraid to ask questions. Shows vary in size and what they have, but we have more detailed descriptions in the listings of our events. One of our goals is getting the youth involved. By keeping the youth involved we will maintain the longevity of coin collecting as a whole. If this interests you, you can read our blog article about it. If you have any questions or if you would like to contact us regarding advertising, you can do that at info@usacoinshows.com.